Mildew Resistant Shower Curtain Liner Just $10.99! Down From $30! You are here: Home / Great Deals / Amazon Deals / Mildew Resistant Shower Curtain Liner Just $10.99! Down From $30! Don’t miss this amazing deal from Amazon! Get this LiBa Mildew Resistant Shower Curtain Liner for just $10.99, down from $29.99 PLUS FREE shipping for Amazon Prime or orders $25 or more! Your home is your sanctuary. Ensuring it is safe and clean for your family is a top priority. With the LiBa Mildew Resistant Shower Curtain Liner made from durable and non-toxic PEVA material, you can feel confident that you’re providing a healthy environment in your bathroom. This liner is the perfect partner to just about any shower curtain. 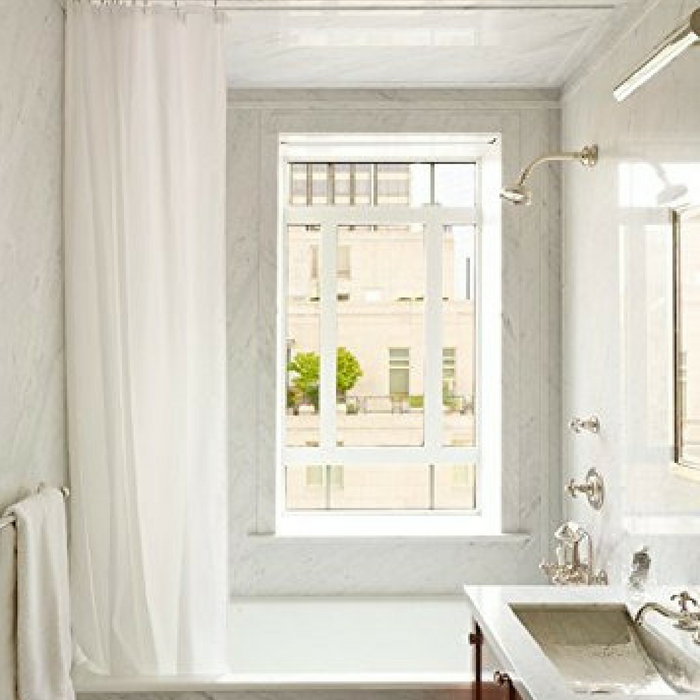 It doesn’t detract from the style of your curtain and fits any standard size shower stall. Enjoy your shower without worrying about unhealthy bacteria, mildew, and chemicals! SAFE & ECO-FRIENDLY: Many low-quality shower liners available on the market are made from PVC, a highly carcinogenic compound that emits toxic gas into the air which can last for 28 days. This shower liner is made with non-toxic, chlorine free, PEVA which doesn’t expose your family and the environment to harmful chemical fumes. CONVENIENT: Easily fits any standard size shower/tub and works with straight or curved shower rods. Use it as a stand-alone curtain or as a liner for a cloth shower curtain. Heavy Duty magnets on the bottom prevent curtain creep keeping the water in and the cold air out. CLEAN and GERM-FREE: Our high-quality anti-bacterial curtain inhibits mold and mildew growth. With basic maintenance of rinsing and wiping, be free of unhealthy and embarrassing mildew buildup and confident knowing that we offer a 12-month warranty against mildew and mold build-up. NO HASSLE GUARANTEE: Includes a 12 MONTH WARRANTY with our 90 days “No questions asked” money back guarantee! DURABLE: Rust proof metal grommets allow for easy sliding and pristine “new” look. Reinforced grommet header prevents tearing and ensures long-term use of our 100% waterproof liner.